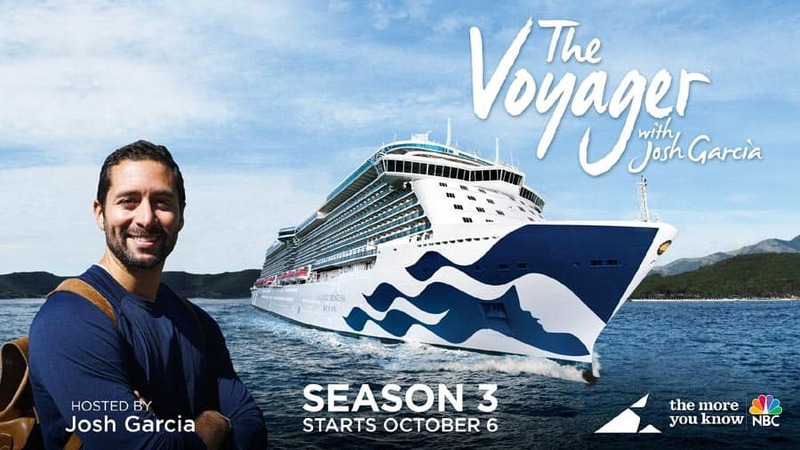 Carnival Corp which owns some of the biggest cruise lines in the world has announced third seasons for its popular travel TV series. Starting in October the three series will be aired between ABC and NCB. The programs will begin on October 6 and will broadcast on Saturdays. The shows will run through fall 2019. Back for a third season on ABC stations is “Ocean Treks with Jeff Corwin.” It broadcasts nationally as part of the daytime Emmy-winning “Weekend Adventure,” a three-hour programming block airing Saturday mornings on 98 percent of the country’s ABC affiliate stations. In season three, Corwin takes audiences to Sri Lanka, Tanzania, Madagascar, the Seychelles, the Canary Islands and Mumbai, India. “Vacation Creation with Tommy Davidson and Andrea Feczko” also returns to ABC’s “Weekend Adventure” and takes viewers beyond the typical travel show by personalizing vacations of a lifetime for couples, individuals and families facing hardship, in need of hope or seeking much-needed time together. In its third season, episodes include visits to the Shetland Islands in Scotland where they go on an excursion to explore the origins of the popular Shetland Ponies; a trip to Iceland where they take in the geo-thermic wonders of Reykjavik; and they sail to Cuba to explore the sights and sounds of Old Havana. “The Voyager with Josh Garcia” returns to NBC for a third year as part of the network’s nationally broadcasted “The More You Know” programming block. In the new season, viewers will travel with Garcia to Abu Dhabi; Aqaba, Jordan; Muscat, Oman; Kuala Lumpor and Manilla, Philippines. In one very special episode, Garcia joins a group of fellow passengers for a new kind of adventure – voluntourism – where they help build a playground for a community in Honduras and then meet with an elderly group in Cozumel, Mexico who teach Garcia and friends how to make authentic salsa. The three shows debuted in 2016 and continue to be ranked as number one or number two in their time slot, and collectively reach an average of more than five million viewers every weekend. With cruise vacations growing 20 percent faster than land-based vacations and with more people than ever taking cruise vacations in 2018, the strong ratings are further evidence that Americans’ interest in cruise vacations is growing exponentially.